The Leaping Stripes and Blocks stitch pattern has been very popular here at Moogly, and I’ve had several requests for a scarf – and you know I love requests! 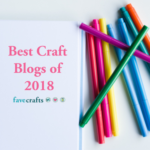 I think this pattern is perfect for menswear, so I designed the Stripes and Blocks scarf in masculine colors – but it would look lovely in bright rainbows, jewel tones, soft pastels, you name it! It’s perfectly unisex! The Stripes and Blocks Scarf is about 6 feet long, but if you want it longer or shorter, that’s easy enough – just stop when you’re done, or keep going in the pattern – it’s up to you! There’s enough leftover Lion Brand Heartland to make it a lot longer if that’s what you’re looking for – or to make 2 for the kids! You could even whip stitch the ends together for an infinity scarf… or add fringe! I can’t wait to see how you all make your own versions! 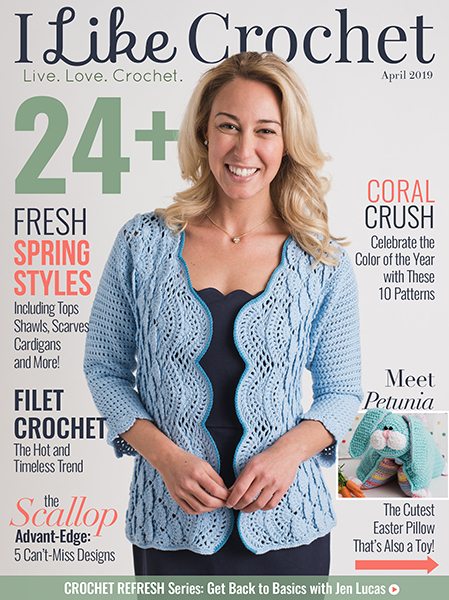 Click HERE for a video tutorial for this stitch pattern. 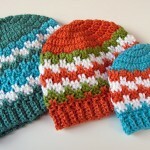 Click HERE for the matching hat pattern. 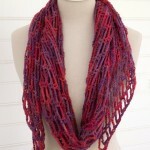 MAKE IT A SUPER SCARF! Chain 38 and repeat Rows 3-4 to 222 rows, then continue the pattern as written. Rows 5 – 98: Repeat Rows 3 – 4, alternating through all 3 colors, switching colors every two rows, and carrying the yarn along the side. Row 99: With Color A, repeat Row 3. Row 100: Ch 1, sc in first 3 sts, *working over the chains and into the top of the sts from the row before the previous row, dc in each of the next two sts, sc in the next 2 sts; repeat from * until last st remains, sc in last st, turn. (14 sc, 10 dc) Do not break yarn. Edging: Continuing with Color A, sc evenly around scarf, working (sc, ch 1, sc) in each corner; join and break, weave in ends. And that’s the Stripes and Blocks Scarf! Easy, fun, and perfect for both men and women. 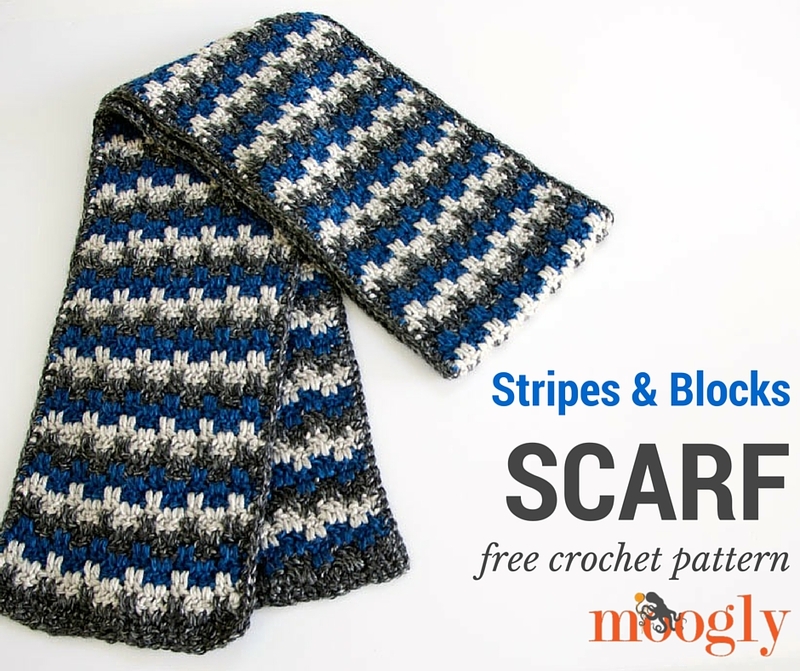 This pattern would be great crocheted in your favorite school or team colors, and you can use as many colors as you like – over 3 and you may wish to cut the yarn between stripes though, as the floats along the sides tend to get a little bulky. I hope you enjoy this free crochet scarf pattern! What a stunning scarf! I think it’d look great in feminine colours too. A really nice pattern, thank you! I want to make a scarf for a 11 year old. How long should I make it? Love it, thank you for the pattern. Hope you have a super time at your family event. Thank you Tracy! It’s been a whirlwind weekend, and we finally fly home tomorrow! Just wanted to let you know we are using your pattern in our “Prayer Shawl Ministries” for some of the men in our church, we just tripled the width. They love it. Thank you for making it available. 🙂 Thank you Michelle, I’m so glad to hear it! Thanks your sharing the pattern! I love making the leaping stripes blanket and beanies and I can’t wait to start on the scarf as well! 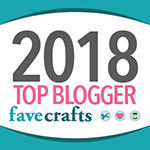 Thank you so much for all that you do to provide us with so many beautiful patterns and sharing your expertise through your wonderful tutorials! This pattern is awesome! 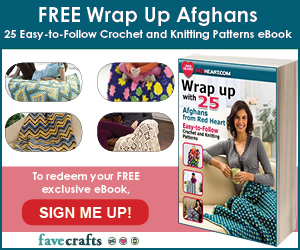 I’d like to give it a try as an afghan. Would you be able to provide what the stitch count would be to make it wider? Oh my gosh, of course I already have that pattern, lol! I didn’t recognize it. Amazing how using a different yarn, and a different object, changed the entire look of that stitch! Thank you, Tamara, for replying back to me. 😀 Yes, and thank you! What a staggering scarf! I think it’d look incredible in female hues as well. A truly pleasant example,?? I so love this scarf. Thank you for this free pattern. 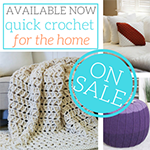 I am new in crocheting but find it easy to follow. You gave me such a wonderful work in this. My husband loved it too! Can’t wait to do more of your great patterns. 🙂 Thank you so much Mavic! I know he will love it, he always wears my stuff with pride! 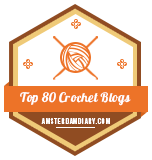 Thank you for your hard work and dedication so we can all crochet beautiful projects! This was made with Lion Brand Heartland, which is available at JoAnn Fabrics or at the link provided in the pattern. multiple of 4 plus 2? is there video tutorial of this pattern? I want to make this for grandkids for Christmas but I only want to use two colors. Will I still do two rows of each before a color change? After getting it started do I use row 3 and 4 to keep going? Hi! I’m almost done making this in grey, cream and dark red. It’s turning out awesome! Thanks so much!!! <3 it! Sounds great, thank you Amelia! Wearing it in Cross way on neck …looks quite awesome too…. & i think it shows the maturity of feminism too… !! 😀 Thank you, I”m so glad you like it! 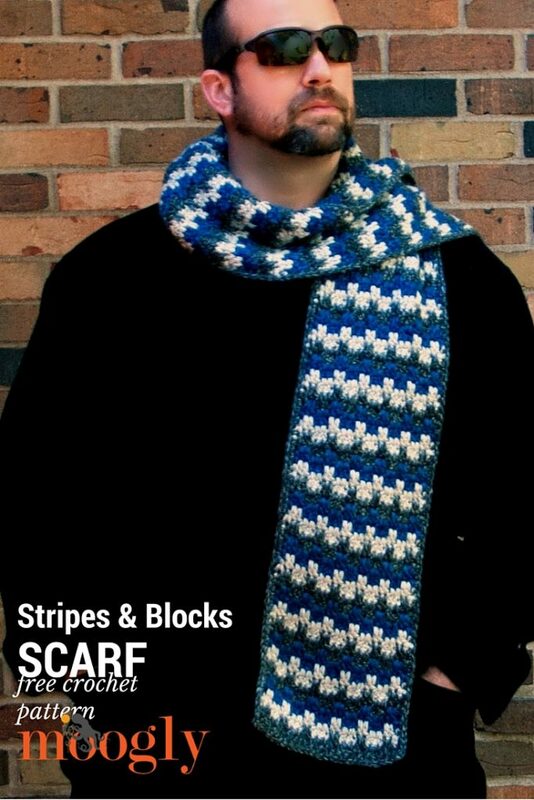 Appreciable”” “Stripes and Blocks Scarf” I need to make this for grandkids for Christmas yet I just need to utilize two hues. Will despite everything I do two lines of each before a shading change? In the wake of kicking it off do I utilize line 3 and 4 to continue onward? 😀 Thank you so much Abhimanyu! Have a wonderful week! Thanks for the beautiful “Stripes and Blocks” pattern! It’s my new favorite. I️ recently expanded it to make a stroller blanket for my granddaughter. By working spaces in appropriate places, you can buckle a little one in, and adding buttons on the sides makes it adjustable! 😀 I’d love to see it! Thank you!